A part of being a responsible digital citizen isn’t just about being safe on the web, but also responsibly attributing work, like images. When my students are searching for an image to use to enhance their work, they are required to use ‘Free to use’ images. Those are images that have no copyright or restriction. Many of these images can be found on compfight, flickr, wikicommons, and a host of other sites. However, like many of us, my students do a Google Image search to find what they are looking for. 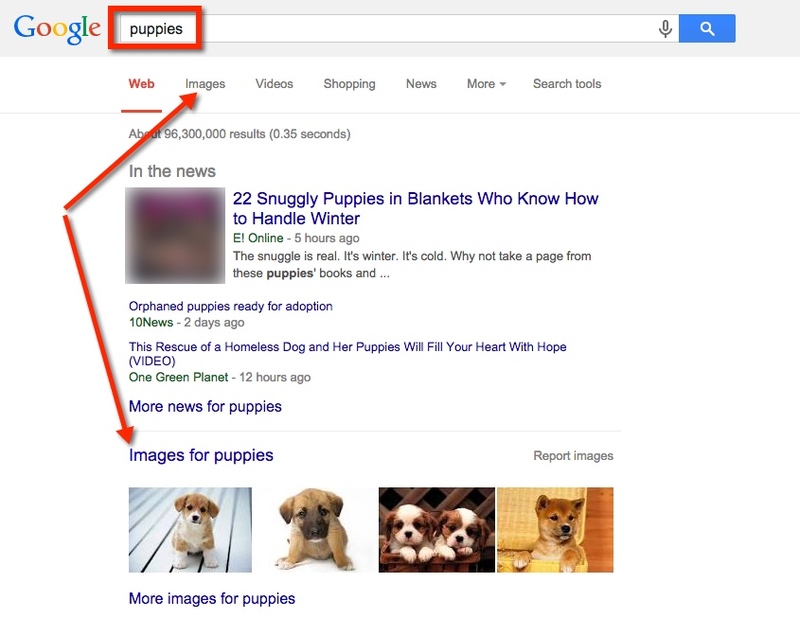 When you first open Google, simply type the keywords for an image. In this case, I’ll use the example ‘puppies’. Then choose ‘Images’. Choosing ‘Images’ gives us nothing but rows of cute puppies. But, not all those images are free. Just like we can’t plagiarize words, we can’t use another person’s images – unless we have permission AND properly attribute the image. To find images that we can use, choose ‘Search tools’ along the top bar. This brings down a second bar where we choose ‘Usage rights’. Choosing this will bring down a list of choices. By default, I have my students choose ‘Labeled for reuse’. Doing this will show you only those images that are available to use. Remember to attribute the picture. Most websites will have this for you to copy and paste. When you find an image you want to use, click on the image, then choose ‘Visit page’. You are given choices on where it will be used. Each choice is accompanied by ‘Attribution’ for you to copy and paste. 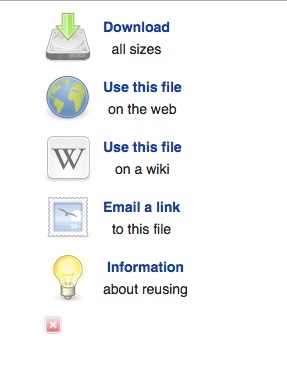 If you are using the image on a blog, you will choose the ‘Use this file on the web’ option. Then copy and paste the image and attribution. Type the keywords for your image. You MUST change the search to ‘Creative Commons’ in order to find free images. Choose the desired image. A pop-out window appears. You will need to copy and paste the image, then copy and paste the html code (for use on the web) in order to attribute the image. Type the keyword and press ‘Enter’. Under ‘License’ choose ‘Creative Commons’. Once you find the image you like, choose it. In the bottom right corner, there are a few choices. 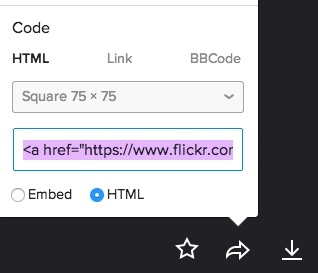 The middle arrow will give you the option of an embed code or html (for web use). 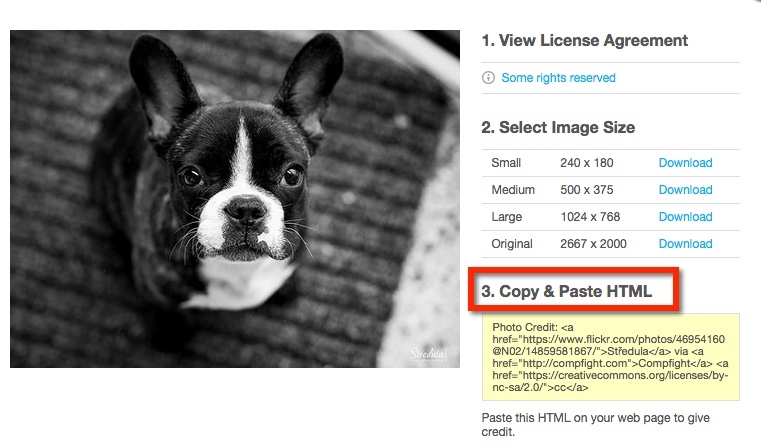 However, if you use Google Chrome I recommend Flickr cc attribution helper for easy attribution. And as models to our students (or staff) we also need to be responsible digital citizens. Happy attribution everyone! This entry was posted in Google, How To and tagged free to use images, Image, insert images by Admin. Bookmark the permalink.